The Democratic Party may be losing the beloved goofiness of "Uncle" Joe Biden, but they could be gaining a new cult hero. Tim Kaine, who was tapped by Hillary Clinton as her running mate, introduced himself to the Democratic Party at large Wednesday night at their national convention. And upon doing so, he struck a chord with many for what they interpreted as his ability to crack a corny dad joke. "We all should feel the Bern. 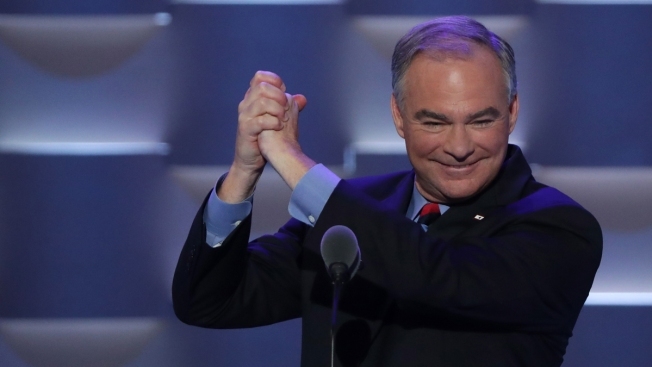 And we should all not want to get burned by the other guy," Kaine said. Kaine, a dad of three kids, also attempted an impression of Donald Trump, repeating "believe me" a popular line from Trump's stump speeches. "It’s gonna be great—believe me!" We’re gonna build a wall and make Mexico pay for it—believe me! We’re gonna destroy ISIS so fast—believe me! There’s nothing suspicious in my tax returns—believe me! By the way, does anyone here believe that Donald Trump’s been paying his fair share of taxes?" If Joe Biden is the nation's fun uncle, Tim Kaine is our dorky dad. Tim Kaine will not swear in front of his kids unless the lawnmower breaks AGAIN and he's mad at it but not you. 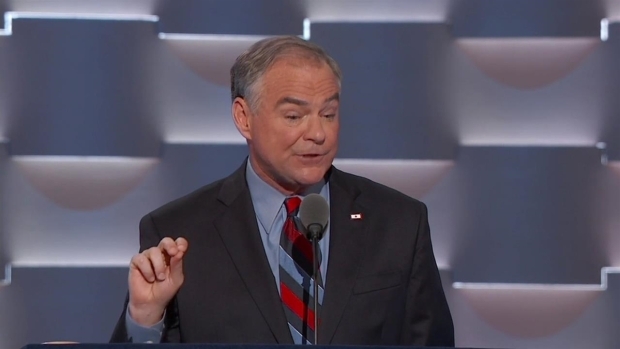 Tim Kaine has his jazz records alphabetized. Tim Kaine, Hillary Clinton's running mate, speaks at the Democratic National Convention on the third day.